Two people accused of having feathers from protected birds have been cited by the Pennsylvania Game Commission, and face thousands of dollars in fines. The commission says they got information saying an East Springfield woman had eagle feathers. When a wildlife conservation officer searched the home of 49-year-old Laurie Gibbons he found hundreds of feathers from protected birds, including bald eagle, various hawks, owls, gulls, songbirds and wild turkey. A subsequent search at the Girard home of 59-year-old Gerald Stazer led to the seizure of more feathers from protected birds. Gibbons was issued 41 citations for unlawful taking and possession of protected birds, game or wildlife. She could be fined as much as $8,400. Stazer was issued 6 citations for taking and possession of protected birds. He could be fined as much as $1,200. 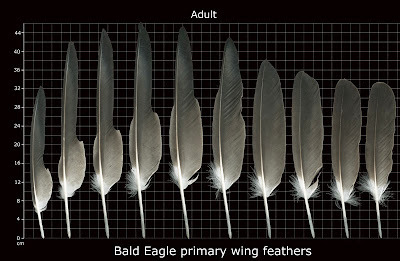 Bald Eagle Protection Act of 1940 is grandfathered and the age of feathers can not be determined. Hope the Game Commission has more to go on.